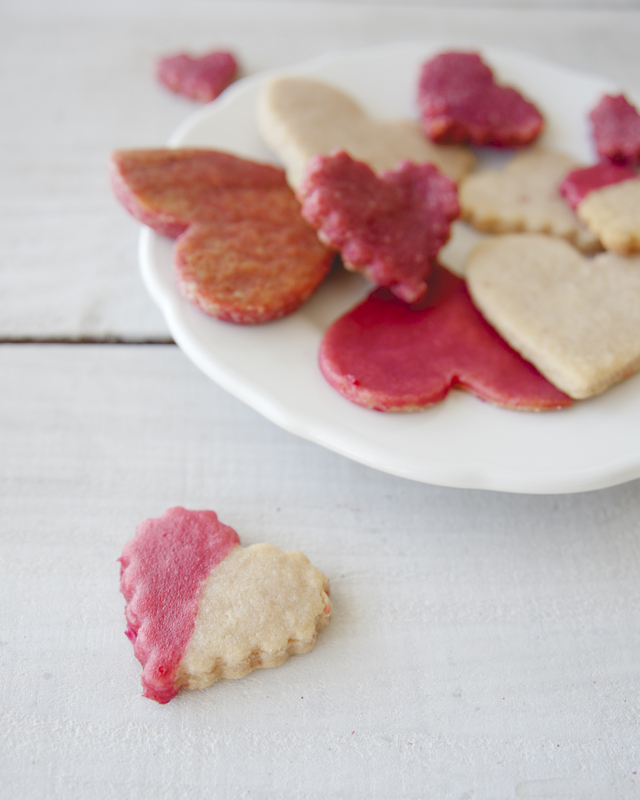 Heart shaped cookies are the sweetest way to say I love you. 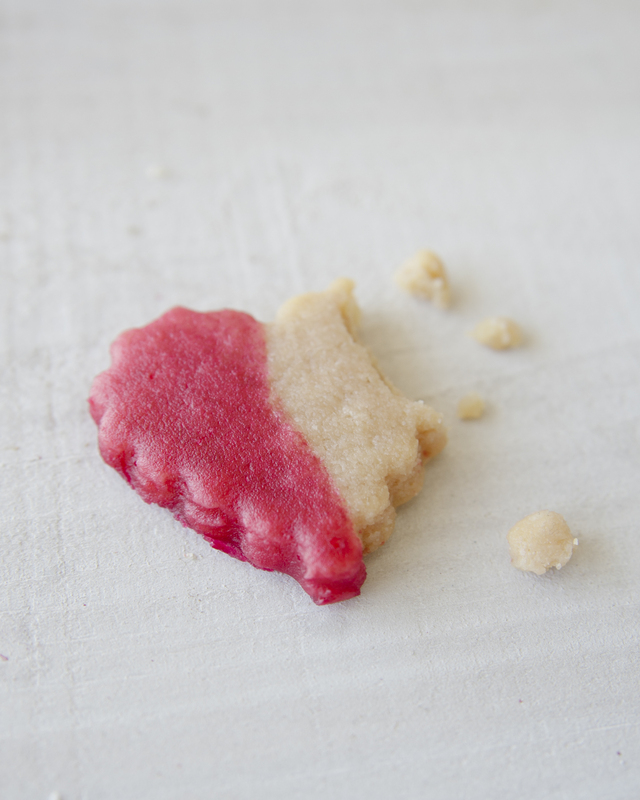 Our naturally colored (thanks to beets), graingluten free, refined sugar free and dairy free cookies will ensure all your loved ones have a happy belly, and a happy heart! Preheat oven to 350 and a fix oven rack to center of the oven. Place clean beet in a small saucepan. Cover with water and set over medium heat. Allow water to come to a bowl. Water will begin to turn deep red. Remove saucepan from heat and allow to cool. In medium bowl, combine almond or hazelnut flour and Himalayan pink salt. Pour in melted coconut oil, maple syrup and vanilla extract. Stir until soft dough forms. Slowly add beet juice from saucepan, one tablespoon at a time until the dough is desired shade of pink. Alternatively, you can leave the dough uncolored, and just color the icing with the beet juice. Cut two pieces of parchment paper into 8 x 8 squares. Place dough between parchment paper and roll dough out with a rolling pen. Your dough should be about an 1/4-1/2 of an inch thick. Place dough in the refrigerator for about 10 minutes. 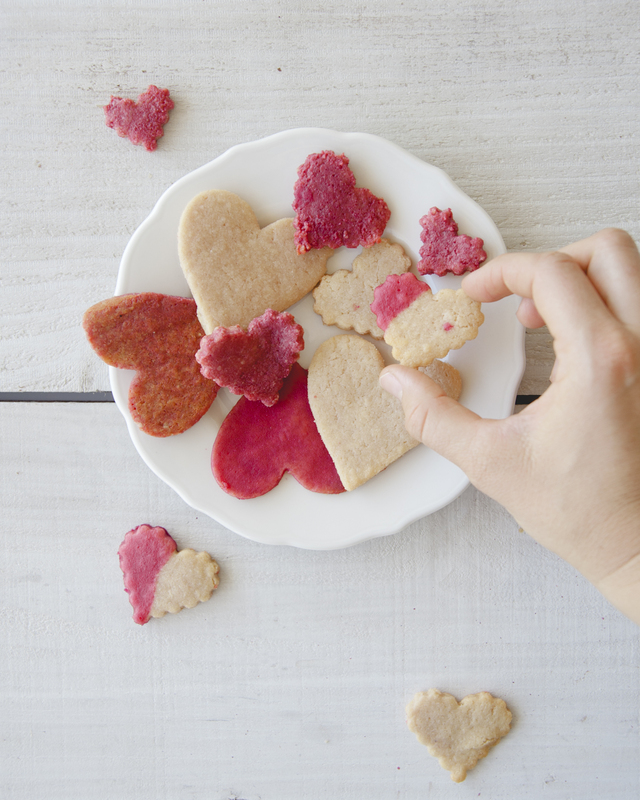 Remove dough from refrigerator and cut into heart shapes. Place on baking sheet lined with parchment and place in preheated oven. Bake 7-9 minutes. Remove from oven and allow cookies to cool off the pan. Mix all ingredients except beet juice over very low heat. Color with beet juice. Allow to cool. Dip cookies into icing and set on parchment paper to set. Enjoy! This entry was posted in baking, dessert, Uncategorized and tagged easy, gluten free, grainfree, paleo, refined sugar free, vegan on February 11, 2016 by sweetlaurel.